An easy Swarovski crystal cube. 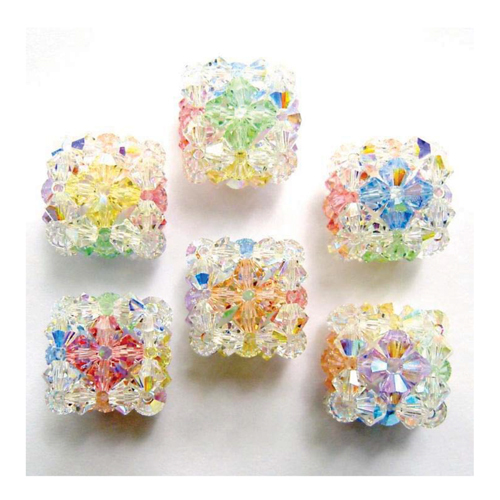 Can be used as a bead, or as a pendant with the threads continued on into strung beads. Good beginner right angle weave project. Text instructions are for two needles, but the diagrams can be followed with a single needle. Includes instructions for crossweaving (2 needles) and tying a concealed knot.